Milwaukee Hyperwire™ wire brush products offer faster material removal and greater life yet maintain a finer finsh. 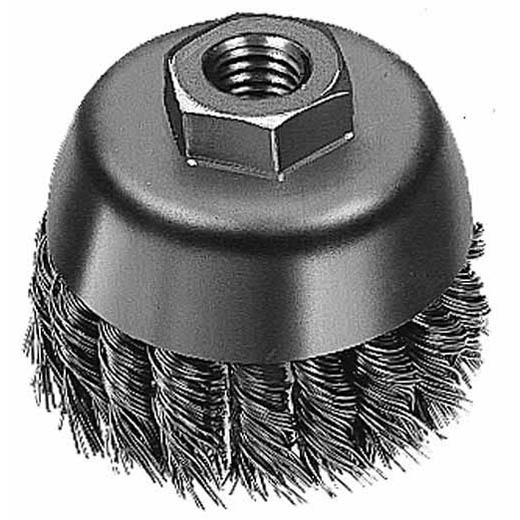 Milwaukee offers the finest quality Knot Wire Cup Brushes to give you long service on the toughest cleaning jobs. These cup brushes are ideally suited for cleaning castings, structural steel and sheet metal. Milwaukee offers a full range of knotted and crimped cup brushes as well as a full line of Stringer Bead and Full Cable Twist Wire Wheels.